Ribbons used can be reused again for other purposes as well. 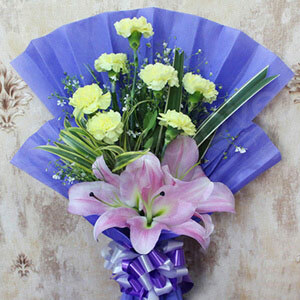 The use of green fillers in the bouquet depends on the season. 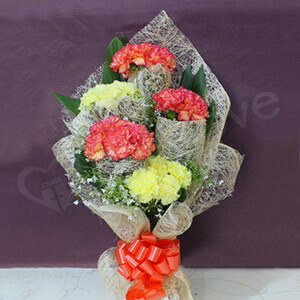 Carnations are native to Eurasia. 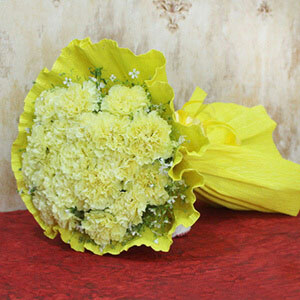 Carnations were used to decorate the garlands in ancient times. 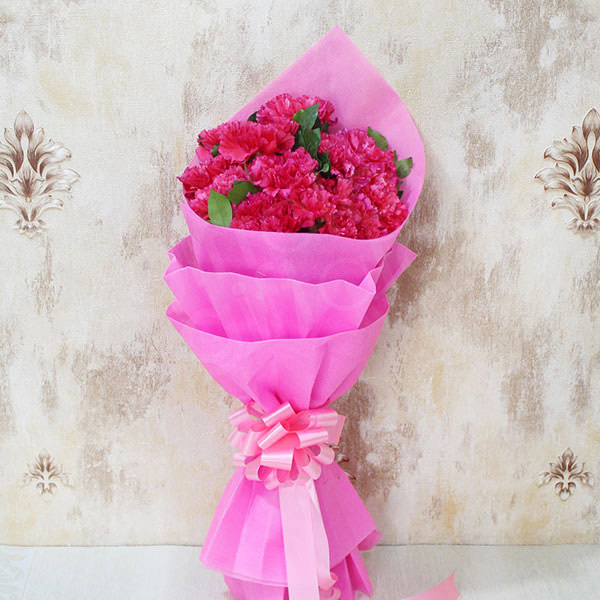 This attractive beautiful bouquet of Red Carnation flowers is packed perfectly with paper packing to turn it into an appealing token of love. 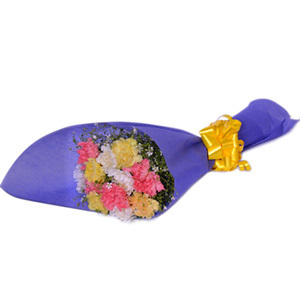 You can present this to your dearest one as a token of your affection, care and love and he/she will be more than happy about it. Lovely bouquet of flowers. Thanks Giftalove.